Hexagon’s mining division has announced the acquisition of Split Engineering, a leader in coarse rock fragmentation size measurement systems, software and services. Optimised fragmentation can save a mine significant costs while improving drill and blast processes. 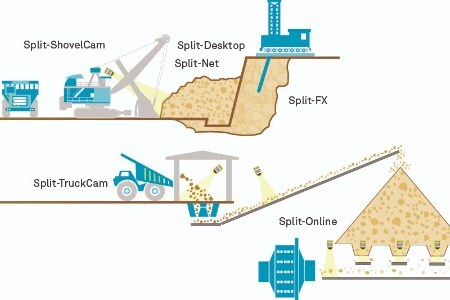 Split Engineering’s image processing technology delivers high quality information that enables customers to manage their processes from drill to mill and improve mine profits. Split Engineering’s core solutions are based on more than 25 years of research and development that began at the University of Arizona where Department of Mining and Geological Engineering staff founded Split Engineering in 1997. Employing specialists in mining, metallurgical, geological, geophysical, optical and electrical engineering, as well as mathematics and business, the company has continuously improved its software while opening offices in Chile, Peru, South Africa and Australia to service its worldwide customer base. Today’s acquisition is good news for Hexagon customers, said Josh Weiss, Mining Division President. He stated: “Split Engineering’s fragmentation analysis capabilities expand our life of mine vision from pit to plant.